“Man can do more than he know with setting a proper goal for himself with high aim and must be ready to struggle hard for his aim no matter how difficult the destination is and the next most important thing is that he must behave honorably towards everything”. High Aim is the first step towards success but you must not forget that practical work is also essential. Our country Pakistan is facing many problems for a last decade. You and everybody are well aware of these issues. Many of us are looking for solutions today but if go few years back when Pakistan Peoples Party gave the ministry of water and power to Raja Pervaiz Ashraf in 2008; he promised the nation that he will solve the energy problem in December. Realistically speaking though we had been facing this problem since the Mushraf and Q league government and it was very much manageable that time. But neither Mushraf nor PPP tried sincerely to start any new project that could be more beneficial for the people than Rental power plants. 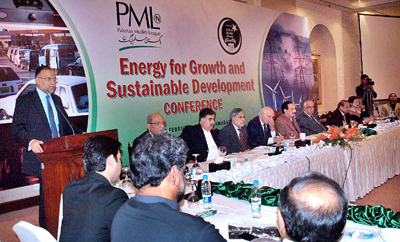 Two days ago PMLN announced its Manifesto in which keen importance is given to economy and energy management. We all know that industry needs power to run without power we cannot run this. In the manifesto it is stated that PMLN government will utilize coal to make electricity as we have enough reservoirs of coal in Sindh. I know that PPP government is also working on this project but you can check out their sincerity by the statement of one of their minister who said that “this is not an applicable project” but one of the most honorable scientist has approved this and working on it. Yesterday while addressing a huge crowd at Mardan Mian Nawaz Sharif said that few news papers have made heading that PMLN will solve this issue in two years but he cleared that I am man of words, by the grace of Allah I do what I say and inshALLAH we will spend our best to solve this issue as soon as possible. This shows his attention and clear intension towards this problem. We have many options and PMLN government of PUNJAB started working to solve this issue by distributing solar power systems in students. There are many other options like new water reservoirs, wind energy and importing energy for some period of time to give relaxation to people of Pakistan. You merely don’t need resources but you also need leadership. Mian Nawaz Sharif managed to make Pakistan Nuclear power under a huge foreign pressure and Mian Shahbaz Sharif managed to develop Punjab in these circumstances. So we have a belief that PMLN has ability to solve these issues more than any other and inshallah every worker of PMLN shall give their contribution to the government of Pakistan with suggestions and practical work. In regards to governance, the only thing that has been said in the manifesto is the promise to hold local government elections within six months without bringing reforms in the system according to the constitution. The constitution prescribes a three-tier system of governance, which includes federal government, provincial government and the local bodies. Article 140 A (1) of the constitution says: “Each Province shall, by law establish a local government system and devolve political, administrative and financial responsibility and authority to the elected representative of the local governments.” What this article says is that the local governments will have the same powers as the federal and provincial governments have in regards to raising finances, exercising political authority and controlling the administrative machinery. It also implies that the police and administrative officer will work under the local representatives. But in the prevalent local bodies system, the bureaucracy enjoys ascendancy over the local bodies who function under their administrative control giving the provincial government manipulative powers against them through the bureaucracy. Article175 (3) emphasises the separation of the judiciary from the executive but, unfortunately, this task has not been accomplished as yet. The manifesto of the PML-N also fails to address both these issues in disregard to the public demand and the constitutional provisions. That indeed is very disappointing. The PML-N is one of the major political force in the country and should have respected the public sentiment and its constitutional obligations.